Lightweight 60g Primaloft® Gold offers the pinnacle of insulation performance with an unrivaled warmth-to-weight ratio in the Azura Jacket. This ultra packable piece sheds the elements and features zippered hand and chest pockets. Our premium all-conditions insulator, the Azura is your year-round layering piece for fall hikes, morning campsites and early snows. Lightweight 60g Primaloft® Gold offers the pinnacle of insulation performance with an unrivaled warmth-to-weight ratio, supreme packability and a softness that mimics goose down. 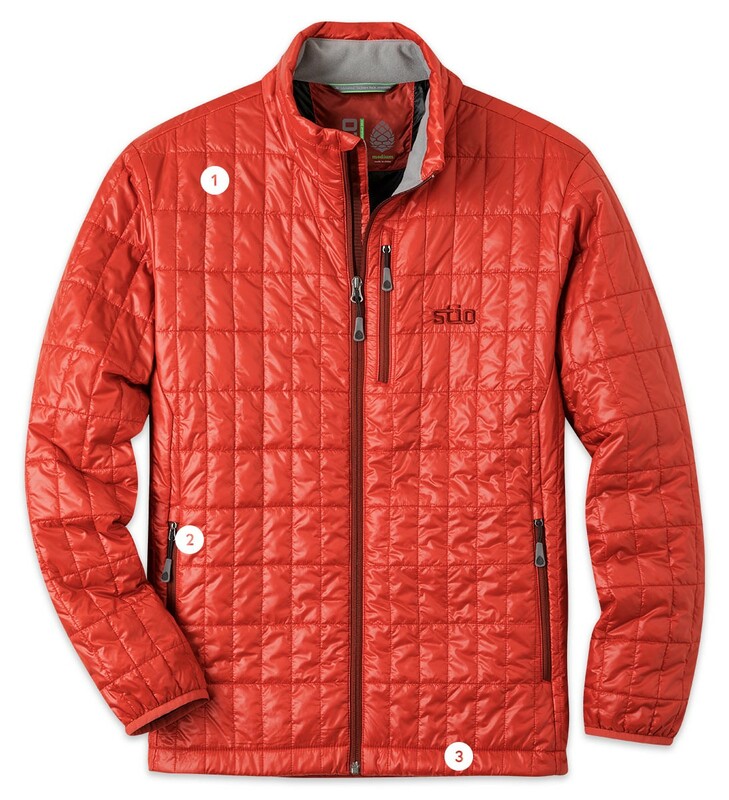 A 15 denier, 100% polyester minirip outer has a soft hand, a cire finish for subtle sheen and a DWR that sheds rain and snow. Handwarmer pockets have comfy, brushed pocket bags, interior and exterior chest pockets secure essentials and a second interior pocket doubles as a stuff sack. Our most generous cut, an accommodating silhouette that offers comfort and full freedom of movement. Ultra-packable warmth for year-round layering.